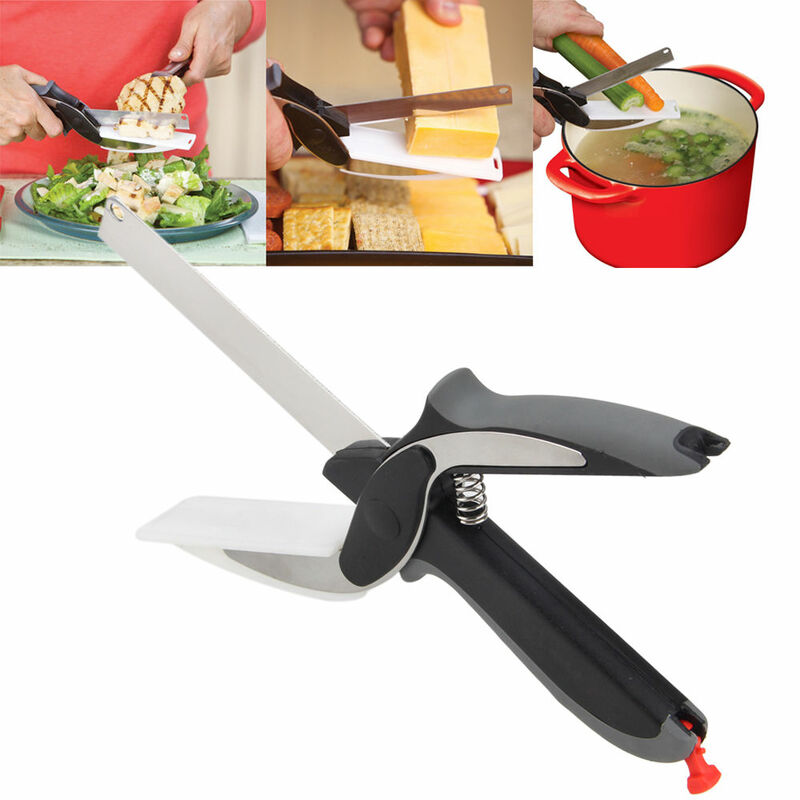 Anything that you cut using the Clever Cutter 2-in-1 Knife and Cutting Board falls onto the cutting board attached to the sheers. Cut chop and slice fruit and vegetables and add them directly into the pot over salads or reserve for a recipe for home. 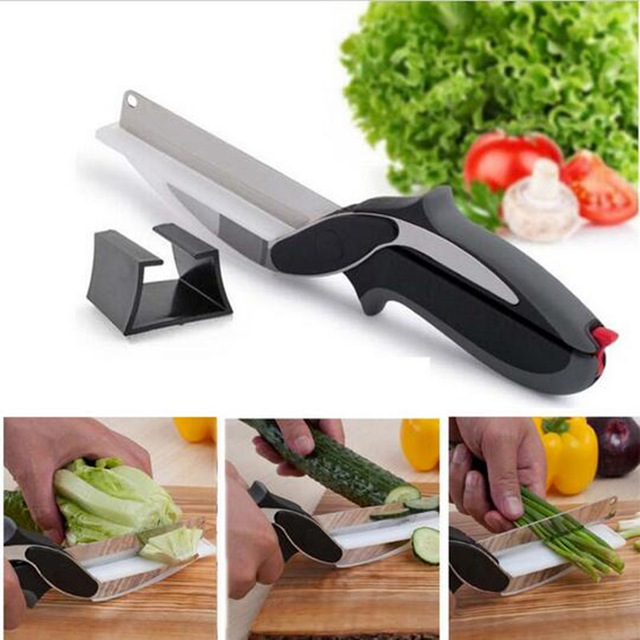 The Smart Cutter 2 in 1 Knife and Cutting Board features razor sharp 4 inch stainless steel blades with spring loaded soft grip handle; you can now cut, chop and slice veggies, fruits, cheese, herbs, meats and much faster and easier. 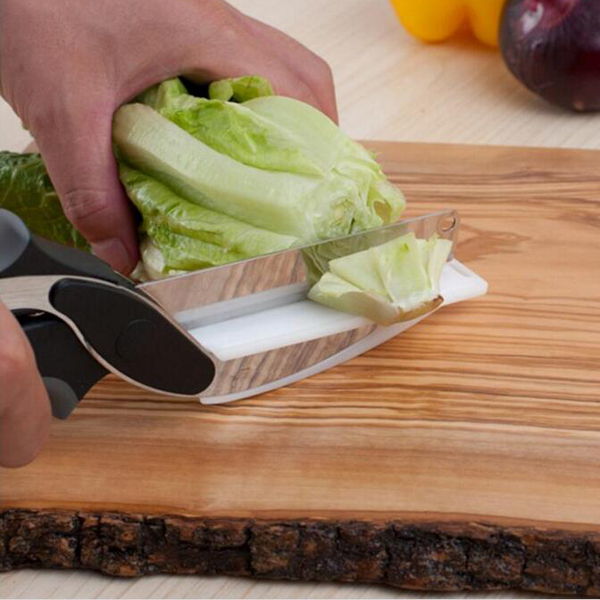 The Smart Cutter also helps to avoid making a big mess and protects your fingers and hands as you cut, chop, and slice away. Includes safety locking features for safe and easy storage.